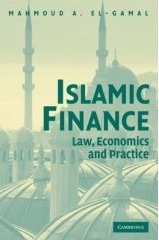 Islam and Economics: Can Political Islam Reform "Islamic Finance"? Update: March 30, 2013 -- the definitive answer to my question has been heard loud and clear, and it is a definitive "No." Islamists, at least those in power in my native Egypt, are clearly just as mired in identity politics and financial greed as the Islamists sharing power in GCC countries. There is no hope that they can produce policies and financial instruments with minimal competence, let alone reform the folly of others. In recent days, as the IMF and Egypt continue to negotiate a potential $4.8 billion loan at 1.1% interest, first the Salafi Nur Party has issued a statement that this interest is not forbidden riba, and then another Salafi preacher has issued a similar statement. (Tuesday, August 28, Update: the next day, the debate has been rejoined, with Salafis reasserting the prohibition of all interest bearing loans and bemoaning the expected social effects of typical conditionality of IMF loans... The Office of the President announced that the loan has no conditionality and that its interest rate is the absolute minimum required to cover actual costs of administration. The statement mentioned that the only remaining details to cover are the specific projects to be financed by the loan and then it will be advanced... The argument that this is not really riba because it only covers the Fund's administrative costs was heavily used in the opinions expressed yesterday and linked in the first paragraph). This reminded me of a question that I asked myself in February 2012 in the piece reproduced below. The story of this piece is interesting: A famous current political affairs magazine solicited an article on Islamic finance from a more severe academic critic, who referred them to me. I wrote the requested piece, but then never heard back from them, and they didn't even reply to my query email a month later. I guess this is my catch-22: I am not critical enough for some and too critical for others. At any rate, here is the piece that I wrote and submitted to that magazine on February 12, 2012. There was a 2,500 word limit, so the argument can clearly be fleshed out more. The current developments cited in the first paragraph suggest that the question may be quite relevant. The piece is dated in may respects, but many points are still worth considering. --- February 12, 2102 --- Will Political Islam Reform "Islamic Finance"? Throughout the Islamic world, Islamists have gained political power through ballot boxes, alliances with military leaders, or both. Examples of the first include political successes of Islamist parties in Malaysia and Turkey. Examples of the second include Khomeini’s successful incorporation of the armed forces to serve Iran’s Islamic revolution and the earlier success of General Zia-ul-Haq to incorporate Islamism – to many Pakistanis the raison d’etre for their nation state – to legitimize his military rule. Fluid situations in post-revolutionary North Africa, especially in Egypt, exhibit Islamist electoral successes under emerging grand bargains with military elites. It is safe to assume that Islamist political gains will translate into growth of “Islamic finance,” especially in countries where secular rulers had for decades feared Islamists and sought to limit their economic power. Whether these countries pursue Islamist economic agendas that are substantially different from the dominant paradigm remains to be seen. The toppled governments in Tunisia and Egypt had been following neoliberal agendas while protecting bloated public sectors and directing state bank lending in imitation of “capitalism with Chinese characteristics.” It is unlikely that Islamist governments can deviate substantially from this agenda. Their appeal to the public who voted for them will therefore drive them to seek legitimacy quickly by containing rampant corruption in highly visible ways, and promoting well-understood mechanics of an “Islamic finance” sector that has grown exponentially fast in recent decades. Islamic finance is the child of a brand of Islamism that became dominant in the second half of the twentieth century and the petrodollars that supported that brand. Its ideological origins date to the mid-twentieth century when Islamist intellectuals in newly independent South-Asian and Arab countries sought to rid their societies of Western banking practices that were introduced during the Ottoman and European colonial periods. The first major wave of petrodollars in the late 1970s transformed the Utopian dreams of these Islamist intellectuals into a practical industry that utilized forms of legal arbitrage to restructure banking practices using primarily credit sale and lease contracts, wherein price markup and pure rent components mimic interest payments in ways that were claimed to be different from interest bearing loans. 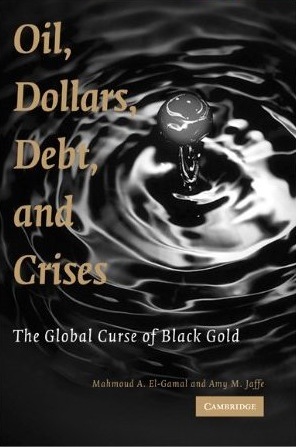 During the new millennium, growth in Islamic finance was powered by a second wave of petrodollar flows, as well as the tools of structured finance perfected during the 1990s by Anglo-American lawyers and investment bankers to arbitrage tax laws. For example, a financial lease buyback was used by some Western corporations to exploit financial and tax benefits in paying interest on financial leases off balance sheet. The return on mastering these techniques declined as the structures became easier to implement, and more importantly after the collapse of Enron. Fortunately for the financial engineers who had perfected this craft of legal arbitrage, the Middle East had trillions of petrodollars that potentially aimed to earn yield that is not characterized as interest on loans. In order to understand the phenomenon of Islamic finance, and to anticipate potential directions for Islamist parties outside of its traditional growth market, we need to review the historical roots of Islamism. Many believe that Islamism arose as a consequence of the Islamic world’s traumatic encounter with modernity – which inspired Bernard Lewis’s book title: What Went Wrong? Because different societies encountered modernity in different ways, Islamism also took different forms in various nascent nation states. In the interest of brevity, I shall focus only on two forms of Middle-East Islamism, which have paradoxically shared the same name: Salafism – following the path of the earliest Muslims. The first Salafism was born in the heart of eighteenth century Arabia. The cleric Muhammad ibn Abdul-Wahhab returned from today’s Southern Iraq disenchanted with different Islamic and secular practices, and eventually formed an alliance with Muhammad Al-Saud in 1744, which enabled the first Saudi state to make substantial military conquests Northward into Southern Iraq and Westward to the holy cities of Makkah and Madinah. This alliance has continued through multiple Al Saud monarchies. The official religious doctrine of Saudi Arabia and countries in her immediate domain of influence has therefore been the Salafism of ibn Abdul-Wahhab, which most importantly aimed to fight every innovation in religion, not only in the form of theological rejection of Shiite and Sufi practices, but also rejection of innovations in everyday life. This extended in early years to rejection of the telegraph, the telephone, and the like, which were eventually accepted. Conventional banking was also eventually – albeit uncomfortably – tolerated, and almost all banking in Saudi Arabia and her neighbors followed Western practices until quite recently, although religious-law (Shari`a) courts were prone to overrule civil codes that allowed banking transactions. The compromise was “Islamic finance” which uses traditional contracts such as sales and leases to restructure bank transactions in ways approved by religious scholars – some of whom were retained as consultants for the emerging industry, especially in upstart oil-poor emirates like Bahrain and Dubai that compete to attract petrodollars. The Salafi parties that won roughly one quarter of the seats in the recent Egyptian parliamentary elections belong to this Saudi sphere of influence. Their ideal economic agenda would be simply to encourage “Islamic finance” institutions and contracts wherever possible, and otherwise follow a model of capitalism that is a hybrid between the Chinese model (to utilize pools of unemployment and underemployment) and the Dubai model (to capitalize on synergies with petrodollar-rich Arab countries). Both models rely on “trickle-down” expectations that may not be sufficient for countries with high levels of unemployment and poverty, especially if Chinese-style rates of per capita GDP growth cannot be sustained. Indeed, one can argue that the failure of this hybrid (Chinese-Dubai) model in Tunisia and Egypt – which was moderately successful in recent years but failed to generate Chinese-like growth rates of per capita income – precipitated the overthrow of their respective regimes, as the authoritarian bargain became untenable. This problem does not exist for oil-rich countries or neighboring low population emirates, which can be sustained by oil rents for decades to come. This brings us to the other type of Islamism represented in the Muslim Brotherhood, whose party has won nearly half the seats in the Egyptian parliament and whose offshoots have had similar success in Tunisia and elsewhere. The Brotherhood was born in Egypt in 1928, under the influence of a brand of official religious Salafism that embraced modernity – exemplified by Muhammad Abduh, the turn of the century Grand Mufti of Egypt, who fought against British colonialism and advocated for a modern nation state that reflects the historical and cultural roots of his people. The Brotherhood was born under the influence of this thought, and embarked on social and occasionally political work to pave the road for an Islamic state. Its repression during the 1950s and 1960s by the Nasser regime led to closer ties with oil-rich gulf monarchies, but created an uneasy fraternity with Saudi-style Salafism, which was largely apolitical. Egyptians thus complained that petrodollars were financing an alien brand of Islamism that focused on seemingly superficial issues of dress and grooming, and the like, while ignoring issues of social justice and political reform. Saudi officials likewise resented the fact that they embraced and protected Brotherhood activists only for the latter to politicize segments of their religious public. Political ramifications of this competition among Islamist worldviews have been many and will continue to be important, but we should now refocus the discussion on finance as a case study for this tension. The strongest driving force for Islamic finance is the Islamic prohibition of riba (the equivalent of the Hebrew ribit, and Islamic scripture explicitly identifies the prohibition as Biblical). Utopian Islamist intellectuals of the mid-twentieth century interpreted this prohibition to encompass all types of interest and envisioned a financial system built entirely on equity finance – which many continue to this day to extoll as the Islamic ideal. The justification for prohibition of interest on debts in classical Islamic jurisprudence and modern Islamic economics is based on equity considerations. Earning interest on one’s capital allows the rich to get richer unjustly, the argument went, reminiscent of the Aristotelian doctrine that capital is sterile (money cannot – or should not – beget money), which was not surprisingly adopted in the Catholic doctrine of usury and later Islamic understanding of the prohibition of riba. It is important to recall that the roots of the ancient law of usury (in the Hebrew Bible and later in the Qur’an) emerged in nomadic societies, many aspects of which are preserved in religious laws and rituals. For instance, in the Islamic rules for pilgrimage, the Qur’an explicitly forbids the pilgrims in a state of ritual purity from engagement in hunting. At the end of the rites of Hajj, an animal sacrifice is made, and the meat must be distributed in equal shares of one third between the poor, one’s friends and family, and one’s own household. Highly regimented distribution of meat, in particular, as well as redistributive mechanisms such as alms taken from the rich and given to the poor, are the hallmarks of traditions that evolved from hunter-gatherer social structures (e.g., in the Arabian Peninsula) that ethnographers have identified as the most egalitarian. In this regard, economists Edward Glaeser and Jose Scheinkman have argued persuasively that usury laws were forms of social insurance for predominantly poor ancient societies. This brings us back to Arab revolutions and the rise of Islamists. I recall over the past few years that many economists in international financial institutions and think tanks were perplexed by the pitch of complaints in Arab countries, where the plight of the poor was significantly better than in many Latin American and Asian countries. Of course, the authoritarian bargain that these experts expected to last much longer has proved untenable, and the revolutions were not led by the poor, but rather by the educated middle classes of these countries. Although the latter have been generally secular in their political outlook, they were driven by egalitarian considerations that featured prominently in their slogans. Revolutionary youths may have been dismayed by the public vote for Islamists, but those who voted for Islamists were indeed voting out of the very same cultural demands for egalitarianism and justice, which they conflated with religious piety. Of course, many now acknowledge the need for greater egalitarianism, surprisingly including the International Monetary Fund, because long-term efficiency cannot be ensured without political stability, which in turns requires a sustainable social contract. Likewise, some regulatory elements of the ancient law, for example, limits on leverage and debt imposed by the size of underlying real economic activity, would enhance long-term stability and efficiency even if they limit short-term growth. The Great Recession that contributed partially to the timing of Arab revolts was a consequence of the financial deregulation wave starting in the 1980s that led to multiple bubbles and crashes and continues to pose a major threat of another Great Depression. “Islamic finance” has been a full culprit in this deregulation trend, providing demand for various assets (including mortgage backed securities) and contributing to the under-pricing of credit risk. Usurers have always used multiparty asset-based financial structures to rob the ancient law of its substance. Thus, if the law forbade the usurer from lending a needy person with exorbitant interest, he would sell him a piece of cloth with a credit price equal to price plus interest. A neighboring merchant would dutifully buy the cloth back from the debtor at market price, thus circumventing the law (Islamic banks currently use this ancient trick known as tawarruq). Rafik Al-Misri, a Professor at King Abdulaziz University in Saudi Arabia, has beseeched his readers to please call the markup “interest” so that a ceiling may be imposed by secular usury law, otherwise it would be impossible to put a ceiling on ostensible “profit rates” in contrived credit sales. In the meantime, by the admission of its own champions and practitioners, Islamic finance has not focused on helping to alleviate poverty or reduce unemployment. It has mainly served elites by synthesizing modern financial transactions from pre-modern contract forms – often to chase past returns on various asset classes that had not yet been “Islamized.” To the extent that poor and unemployed Muslims may demand financial products that are structured likewise from pre-modern contracts, one may justify efforts by the Islamic Development Bank and the World Bank’s International Finance Corporation to develop such products. Unfortunately, the decades-long track record of these organizations remains very disappointing, as some of their own studies have estimated that half of the world’s Muslims continue to live below the poverty line of $2 per day. The ideological and religious motivation for Islamic finance emerged from the egalitarian agendas of political Islamists, exemplified by the Muslim Brotherhood and its sister organizations. However, the development of practical Islamic finance was financed by petrodollars and prospered in countries where Islamists generally focused more on the way finance was conducted (pre-modern juristic legal status of contracts) rather than the objectives of finance. As the two types of Islamism cooperate and/or compete for setting economic agendas, the sociopolitical agenda of the political Islamists may redirect Islamic finance, most likely retaining the emphasis on contract forms but also placing greater emphasis on the objectives of finance. The example of Turkey’s Islamist business community, such as members of the industrialist association MUSIAD, who supported and benefited from the political rise of Prime Minister Erdogan in Istanbul and nationally, is quite similar to networks of Brotherhood businesses that were occasionally attacked by secular Arab governments but many of which survived nonetheless. Political Islamists can follow one of three financial paths. They may simply replicate the pietist “Islamic finance” that serves identity politics and little else. They may also choose to create Islamic subeconomies, as Timur Kuran has argued, but still fail to provide broader economic development for their countries. Hopefully, they may manage to solve the perennial problems of financial disintermediation and succeed finally in growing the small and medium enterprise sector that can help with poverty alleviation, employment creation, and economic development. Trust networks that can facilitate this development would be akin to “relationship banking” in more advanced economies. A recent editorial in the Economist criticized this hope as merely a wish by Egypt’s Islamists. At least, it is the right wish. Is there any books/research body [ that you would recommend ] that does an analysis on the history of banking and it's rise and evolution along similar lines to what Peter Drucker does on Management and Joseph Scumpeter does on Capitalism? Thank you. I've downloaded the book and intend on reading it. I'm wondering if it's to the same level or rigor and analysis as Drucker and Schumpeter? I in fact did not get the third scenario in the very last paragraph. I got the first as having the pietist Islamic finance, the second is Prof. Kuran's suggestion of having Islamic subeconomies but still did not get the third. Would you please explain it further? There are two stipulations that I would like to open up for discussion about the IMF loan to Egypt. #2. In the event Egypt cannot come up with the money after the 5 year term there remains the possibility of an extension at a higher rate of interest. Can these end up being un-egalitarian aspects of the loan? Hello, the posts are very interesting. However I was surprised by the link you proposed between the MB and Mohamed Abdo. "The Brotherhood was born in Egypt in 1928, under the influence of a brand of official religious Salafism that embraced modernity – exemplified by Muhammad Abduh [...]". The fact that both M. Abduh and H. EL Banna both fought the British occupation; should not mask their ideological differences when it comes their understanding of Islam. 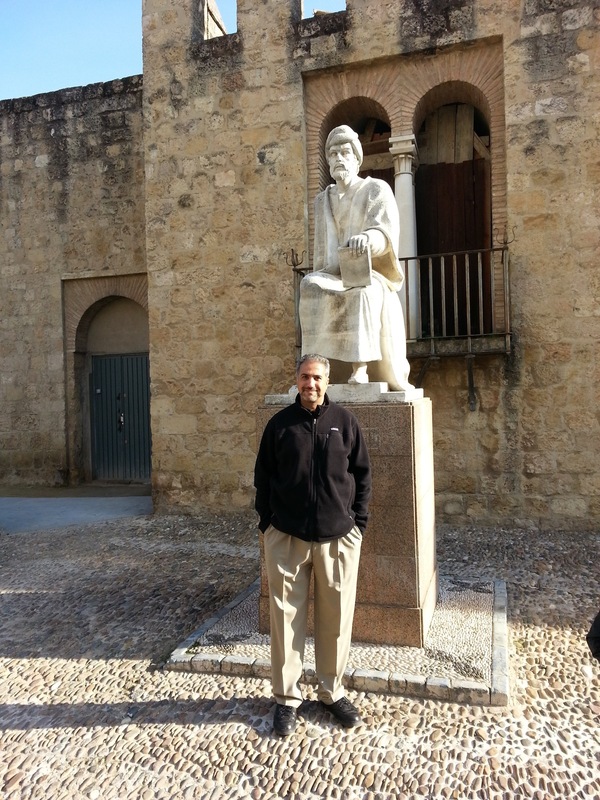 M. Abdo fought the (in his view) backward thinking of his colleagues at Al Azhar. Abduh's philosophy is adopted by the most secular party in Egypt, the Free Egyptians. I quote their program: "ولعل توجهنا هذا هو نفس التوجه الذي دعا إليه أهم رواد الإصلاح في مصر وهو الإمام (محمد عبده) عام ١٨٨١م، في إطار صياغته لبرنامج سياسي لأحد الأحزاب آنذاك، والذي يتلخص فيما يلي: إن الحزب، حزب سياسي لا ديني فانه مؤلف من رجال مختلفي العقائد والمذاهب، فجميع الأديان وكل من يحرث ارض مصر ويتكلم لغتها منضم إليه لأنه لا ينظر لاختلاف المعتقدات و يعلم أن الجميع إخوة وأن حقوقهم في السياسة والشرائع متساوية."